Martin Honesty has more than 30 years of experience in the administrative field. His responsibilities include managing employee laptops and monitors, the purchase of all office supplies and equipment, and incoming and outgoing mail shipments. Honesty also assigns and creates monthly invoices, updates JBA’s electronics and equipment, monitors the company’s phone systems and security and surveillance hardware, and serves as the designated point of contact for webinar and file sharing services. Before joining JBA in 2002, Honesty worked for the U.S. Securities and Exchange Commission, the Office of the Comptroller of the Currency, and corporate law firms. 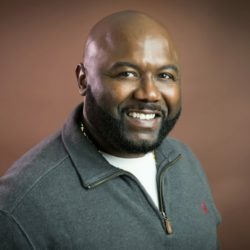 He has been a certified substance abuse counselor at Volunteers of America Chesapeake for more than 15 years.